But the epidemic has also been seeping into communities of color, where heroin overdose death rates have more than doubled among African Americans, Latinos and Native Americans, but gone largely overlooked by the media. 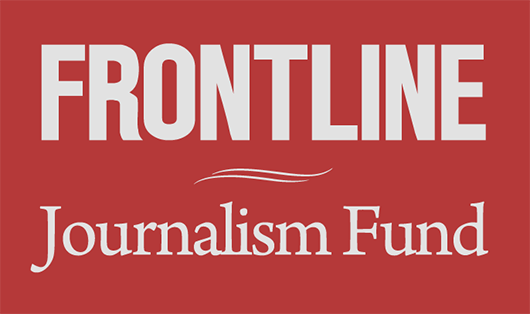 FRONTLINE spoke to experts and community outreach workers around the country to try to understand the differences. While some have followed a similar trajectory as the white community, a closer look at the epidemic in some communities of color reveals a different story. And outreach workers in several cities say that while funds and attention have been directed to aid white opioid and heroin users in the suburbs, they are still struggling to get the resources they need to support minorities who are dealing with the same addiction. In New York, Jimmy Ruiz, who is Dominican American, said he first was given heroin at age 22, by someone he knew on the street. Today, two decades later, Ruiz works for a local outreach group that promotes clean needles, disease testing and education for drug users. He’s lost a loved one and colleagues to overdoses. He is still hooked himself. Today, the high demand for heroin from suburban whites has increased the drug’s flow to the inner cities, so it’s more plentiful, and the costs are low, making it an easy option for someone looking to get high. In New York, for example, a single opioid pill might cost as much as $20 or $30 on the black market, while a bag of heroin sells for $10 or less. The heroin epidemic in the African-American community is distinct for another reason, in that they’re less likely to come to the drug through opioids. Multiple studies have shown that doctors are less likely to prescribe opioid painkillers to blacks than whites, even young children, for the same ailments. Recorded heroin overdose deaths of Native Americans by the CDC remained in the low teens or 20s until 2009, when they rose to 32. But since then, they have shown the second-highest spike across all racial or ethnic groups. In 2014, there were 99 heroin-related deaths. Her organization has begun outreach to train people to use naloxone, the drug that reverses heroin overdoses, and to educate residents about the Maryland’s Samaritan law, which allows drug users to report overdoses without fear of arrest. Among Latinos, the increase in heroin overdose deaths has been less pronounced than in other communities. And because of the diverse nature of the population, which is spread across both rural and urban areas and has roots in multiple countries, it’s hard to point to one trend. But studies suggest that substance abuse tends to be more prevalent in established immigrant communities — those who have been in the country for at least five years — rather than among newer arrivals, according to Margarita Alegría, chief of the disparities research unit at Massachusetts General Hospital. That’s in part because recent immigrants are less connected to social networks that might give them easier access to drugs, she said, and haven’t yet succumbed to the economic and other stressors that many low-income people feel. For those who do fall prey to addiction, Alegría said many Latinos still struggle with the stigma of seeking treatment, and when they do, it’s challenging to find care that is language and culturally appropriate. Most often, they try to deal with the problem on their own. “We are quite surprised by how few people seek services directly,” she said. The reaction to today’s epidemic in the white community has frustrated outreach workers who have been working to change policies toward drug users for years with little success. A significant shift in approach has occurred in local criminal justice systems, where cities have begun experimenting with alternative programs that help users avoid the cycle of incarceration that can keep them from holding down a job, finding housing and becoming productive members of the community. That cycle has disproportionately swept in minorities, predominantly blacks and Latinos, who are more likely to be arrested and imprisoned for drug offenses. Currently, two-thirds of people imprisoned for drug offenses are people of color. 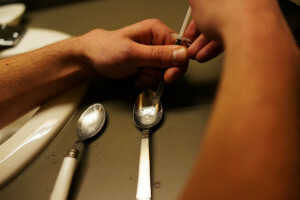 For example, Seattle has created a program known as “Law Enforcement Assisted Diversion,” or LEAD, that allows police to refer drug users to case workers rather than arrest them for low-level offenses. A 2015 analysis of the program by the University of Washington found that only 36 percent of those enrolled were arrested after they entered the program, compared to 59 percent in a control group. The LEAD participants were also less likely to be charged with a felony. Advocates like Curtis say they welcome these changes, but he and others worry that resources haven’t yet been allocated to address the drug problem in minority communities in the same way as predominantly white communities. City officials in Hartford, Conn., where local activists have long been advocating for a treatment-based approach for African-American drug users, are now considering implementing the LEAD program. Deaths among whites from opioid overdoses, including heroin, have more than doubled in Hartford since 2012, according to state data. That’s made Lorenzo Jones, co-director and co-founder of the Katal Center for Health, Equity and Justice, a Hartford advocacy group, wary even as he says he welcomes the program.